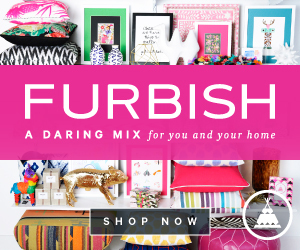 TEEPEES, TRAILERS, AND TENTS—OH, MY! I remember the morning like it was yesterday. Flyboy called me and said there was a really good chance we could return to Swell Rio after our assignment in Hawaii. It was a typical Lil' Puna Saturday. He was on a mission, and I was sitting in the office at my desk probably pinning nonsense before an afternoon shift at J.Crew. In that moment, I distinctly recall laughing hysterically as soon as he mentioned the possibility. I can only assume it was to prevent myself from crying—I'd save those tears for later when I'd inevitably debrief over the phone with my mom. As soon as the initial shock subsided, I automatically thought of Marfa and my Life List. Looking back at our first stint in Texas, I had regrets that we never made it to this quirky town. If we did in fact return to the Lone Star State, then I'd finally get the chance to cross this item off the ol' bucket list. Fast forward 1.5 years and here we are. Like any couple expecting their first child, we looked at the calendar and realized our days as a duo were numbered. Holy cannoli, Batman! What did we even accomplish during our first six years of marriage?! We thought long and hard about all of the things we intended to do before Max's arrival (i.e. 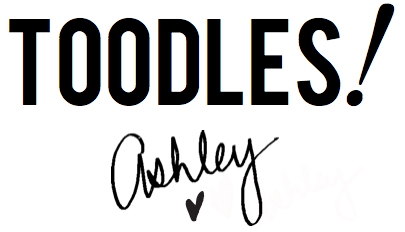 create a stationery line, compete in the Ironman World Championship, own a dozen Bernese Mountain Dogs, etc.). When we realized that none of this stuff was going to happen any time soon, we reassessed and thought we should start small. 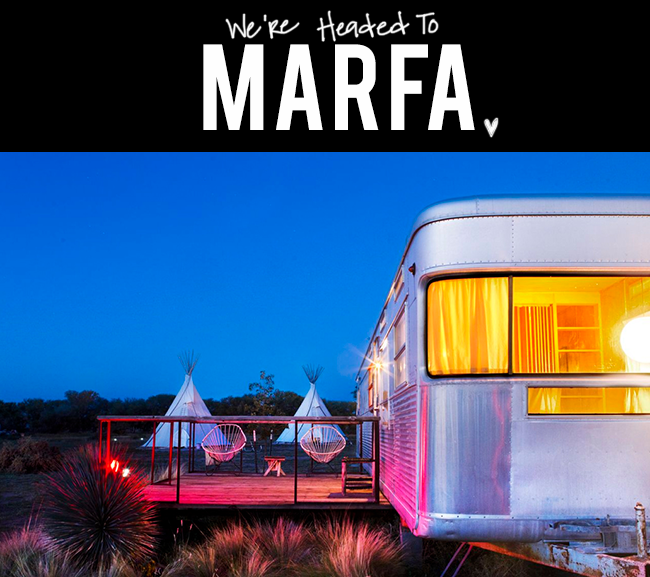 Hmm, how about that trip to Marfa? 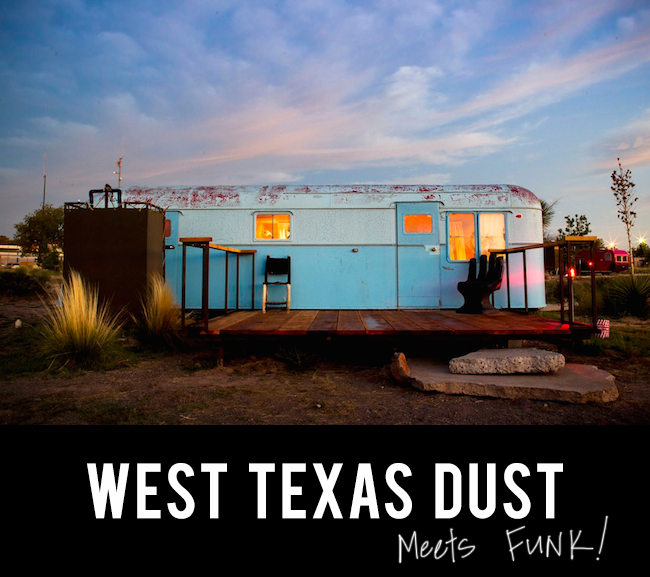 So, last week we picked a few dates, made arrangements for the fur kids, and plotted our long weekend in Austin and Marfa. I suppose you could call it a Babymoon, but it's our attempt to keep Texas weird and wonderful before we welcome our little guy in October—just the two of us, the way it all began. 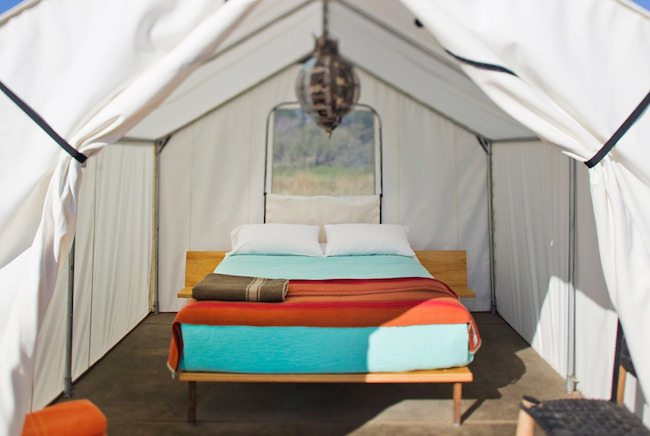 Naturally, a trip to Marfa would not be complete without a night spent at El Cosmico. Y'all, I almost burst with excitement when I received an email that said our reservation had been confirmed. Hello, Spartan Mansion, meet the Fines, party of two! Yahoo! I've been dreaming about this moment for years, and the idea that it will soon become a reality makes me want to skip and do cartwheels simultaneously. It's flipping HUGE! 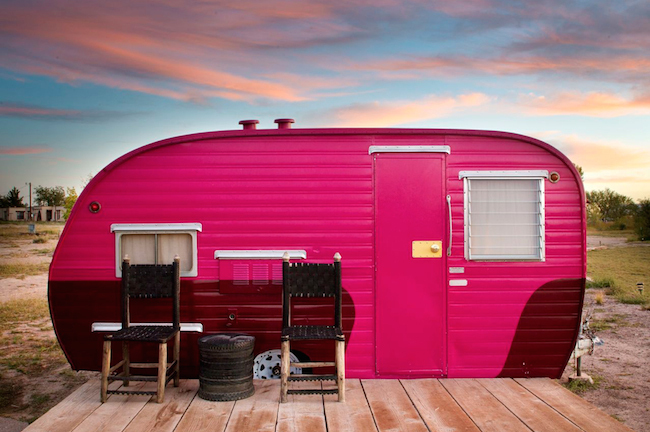 Yes, the fact that I'm this elated to pay to stay in a trailer (glamping, anyone?!) 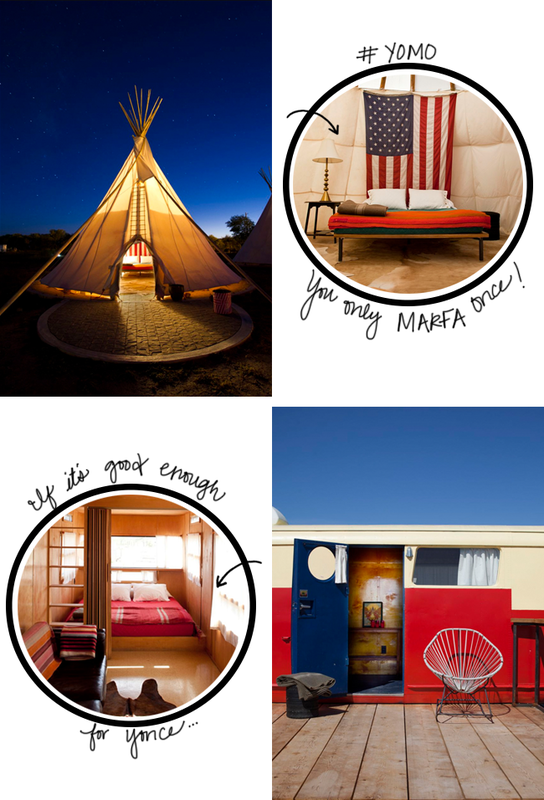 is a wee bit alarming, but YOMO—you only Marfa once! While we're still 13 days away from our little adventure, I'm having the best time devising an itinerary—a Type-A(shley) dream—and thinking about all the things we'll see (The Judd Foundation, Cast + Crew, Marfa Book Company, Prada Marfa, etc.) and eat (any of these restaurants). 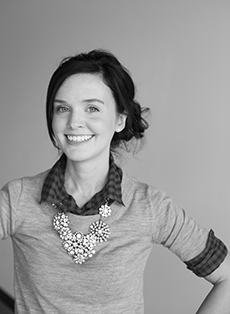 Eek, I can't wait to share our experience with you! Happy Tuesday, m' dears! Do you have something fun to look forward to? Do tell.